Once Max is in bed and I’m sat clutching a glass of red my favourite thing to do is scroll through my Pinterest feed searching for lust worthy home decor ideas. As you’re all probably aware we’ve sold our teeny tiny one bedroom flat and are in the market for our dream home. With London house prices being at an all time high we know we’re going to have to find a ‘doer upper’ kind of home. This makes me super excited! I might actually be able to make my Pinterest dreams come true. Each week I’m going to delve into my Pinterest boards and show you what my plans/ideas are for each room in my new house. 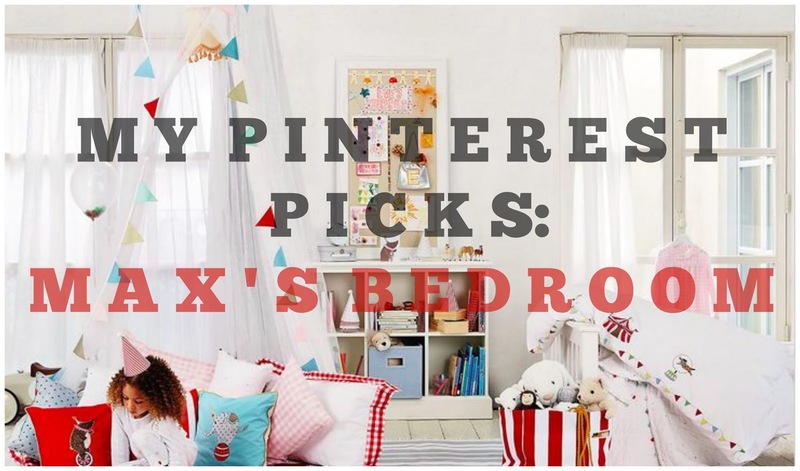 I thought it would be best to start off with the most exciting room and that’s of course Max’s little boys room. When I first started Max’s Bedroom board I noticed there were hundreds upon hundreds of themes to choose from. The one that stuck out for me was an animal themed room. Growing up around dogs and animals was one of the best parts of my childhood and I really want Max to appreciate and love animals too. 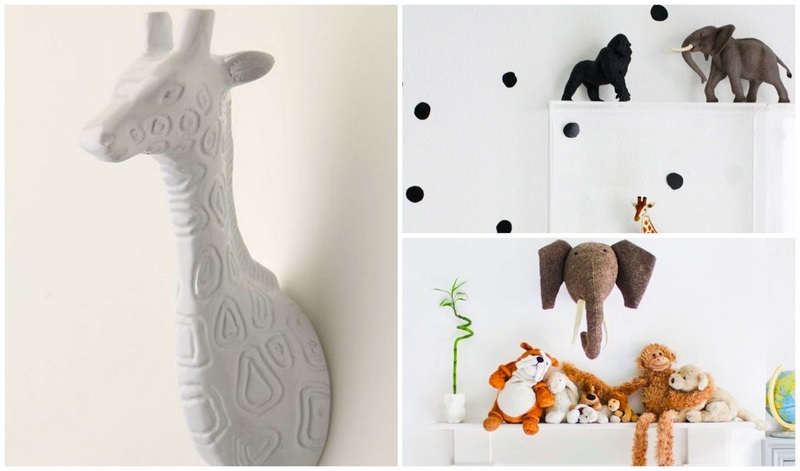 I particularly love the idea of a stag head for his wall, there’s a lot of these on the market now for children’s room and I’ve seen a cute felt giraffe version I like from Not On The Highstreet I’m going to get. I’m also going to deck Max’s shelves out in Schleich animals, we’ve already started our collection with of course a giraffe, a panda and zebra. I really want books to be the main feature in Max’s room, he’s obsessed with books and can spend hours flicking through book after book. Sprawling through Pinterest I found so many beautiful ways of displaying them. 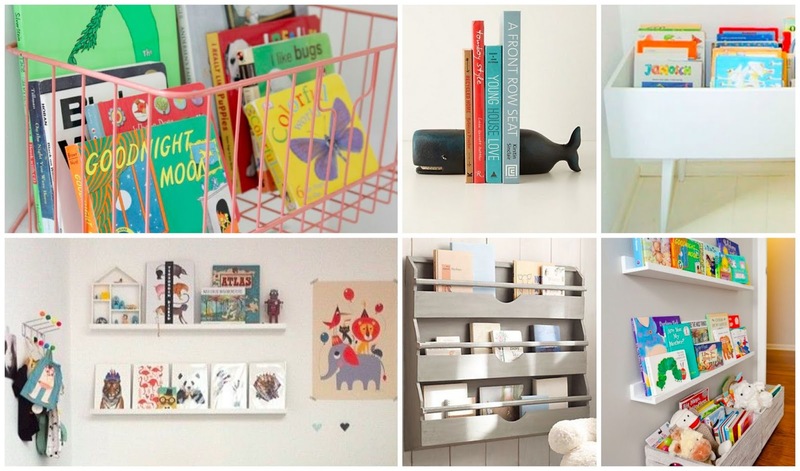 I was particularly drawn to the IKEA RIBBA shelving as it really showcases the books on offer. The RIBBA shelving is also extremely space saving as Max’s bedroom will most definitely be the smallest room in the house. As soon as I saw Kourtney Kardashians children’s bedroom on KUWTK I fell in love with the idea of a chalkboard wall. 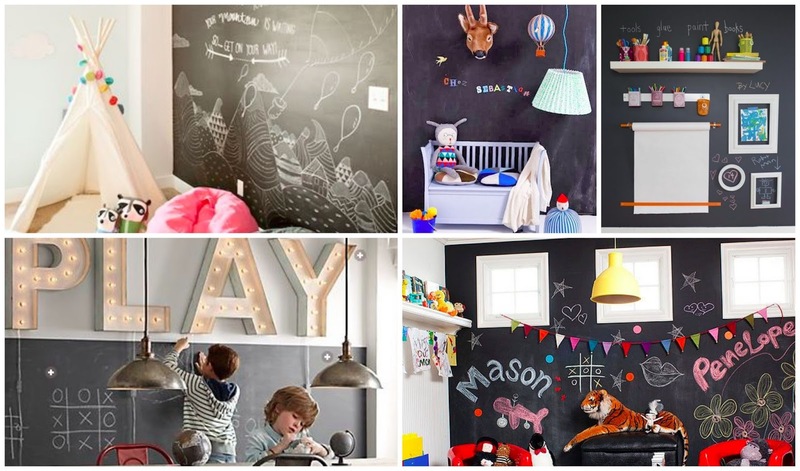 Children are obsessed with drawing on walls and what better way to save your walls from those little mitts then by having a chalkboard for hours of creative fun. I love how stylish chalkboard walls look, I can see myself enjoying this feature more than Maxi! Once we’ve sorted Max’s room out we’ll also be looking at investing in some blackout blinds for the windows in his room. I need something that will block out the Summer sun in hope Max will stop waking up at the crack of dawn. (Yawn, I know you mummies feel my pain) I have my eye on the manually operated blackout blind from VELUX. There’s a ton of colours to choose from and I trust the brand will help do the job. Once we’ve found our dream home I cannot wait to get stuck in to some interior design. The last property we purchased was a new build and there wasn’t much leeway for customisation, so this time around I’ll be rolling my sleeves up and reaching for the paint and brush, I may even try some up cycling but that’s for a whole different blog post.